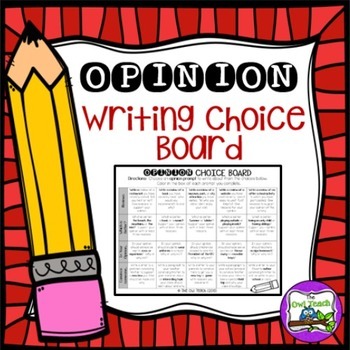 This Opinion Writing Choice Board includes 20 different opinion writing prompts for your students. 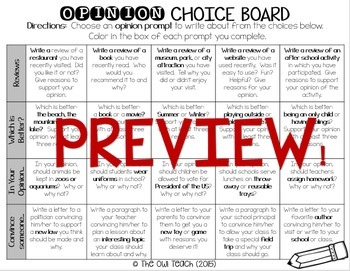 Also included are the same 20 prompts in a writing calendar format. This packet is perfect for Writing Workshop prompts, Daily 5 Writing, Student Writing Journals, Fast Finishers, Writing Homework and more. 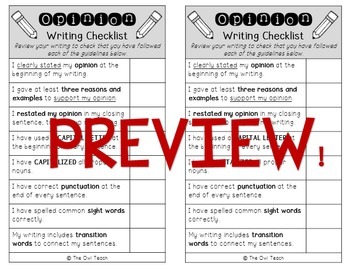 Included are teacher tips, the choice board/writing calendar, writing paper, and an opinion writing checklist. 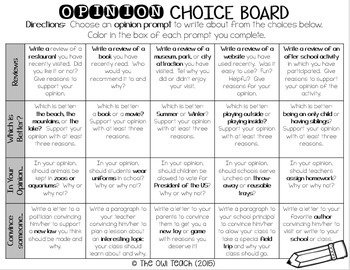 Love this Writing Choice Board? Check out my Monthly Writing Calendars!